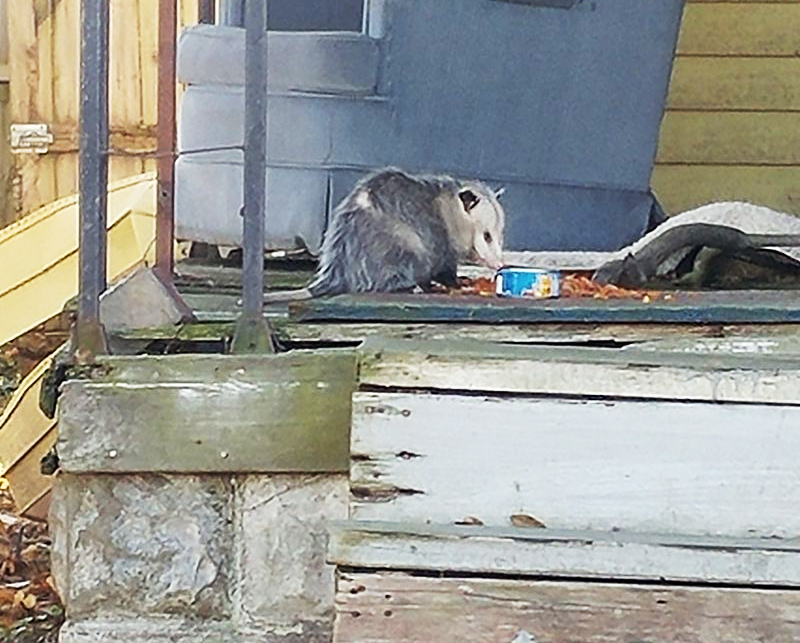 Feeding pets outside is a sure way to attract unwanted wildlife. Wildlife are constantly in search of food, so proper sanitation and management of potential food sources is essential. If you must feed them outside, remove the pet dish and clean up the area immediately after to remove residual foods and odors. Store food and other attractants inside or in animal-proof containers with locking lids.